All too often a great design idea has to be amended beyond recognition because of the practicalities and realities of the garden and the budget. Perhaps all the materials for the garden have to be taken through the house, perhaps there are pets or young children around, or perhaps you’re on a deadline – all these logistical problems and more can mean that the original vision is compromised. 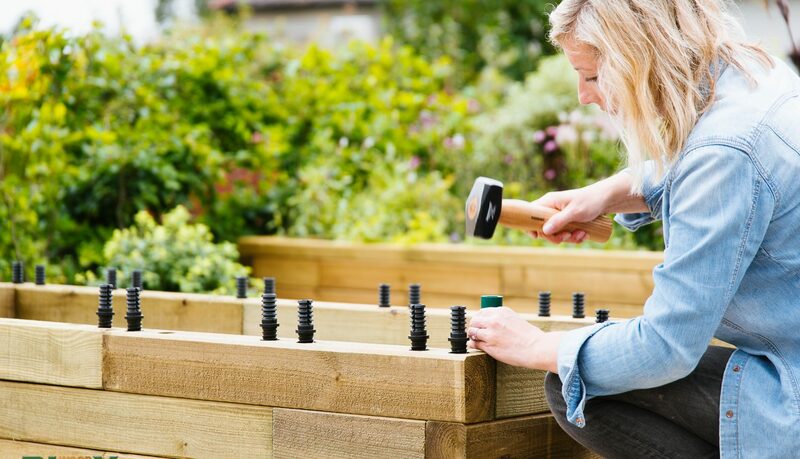 However, whether you want to add planters or raised beds, benches or more to a problematic area, the solution can be found in a modular timber system such as WoodBlocX. Modular systems, because they are delivered in pieces rather than unwieldy pre-built wholes, can be taken into the garden much more easily. All the WoodBlocX components can be easily carried by one person, so even in the tightest of places there’s space to squeeze them through. They are delivered on pallets, which can be easily moved to get as close to the construction area as possible, saving time and effort in moving things around. 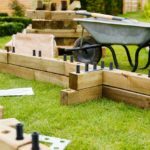 This is also helpful when the garden build has to take place around household life – the components do not take up much space, so disruption can be minimised. Modular systems built from small components are also light and can be easily carried up steps. This means that it is also possible to build quite large planters on rooftops, and incorporate a rooftop garden to bring some life to a dull area. So, WoodBlocX are easy to get onto the site, but they are also easy to work with once the components are there. All the individual pieces are pre-fabricated to exactly the right size, and pre-drilled and mitred as well. Therefore you will not need any power tools to build up the BlocX themselves – no drilling, cutting or sawing is necessary. The BlocX are quick and easy to put together, and there is very little noise created in the process, keeping the disruption to family and neighbours to a minimum. Furthermore, the pre-cut modular system also means there is no dust or mess and virtually no waste to dispose of (and what waste there is can be easily moved and transported to the tip), saving time and money again. Modular timber systems like WoodBlocX are the smart choice for any garden, but especially those with access problems. Call our team for a chat about your project and how we can help.